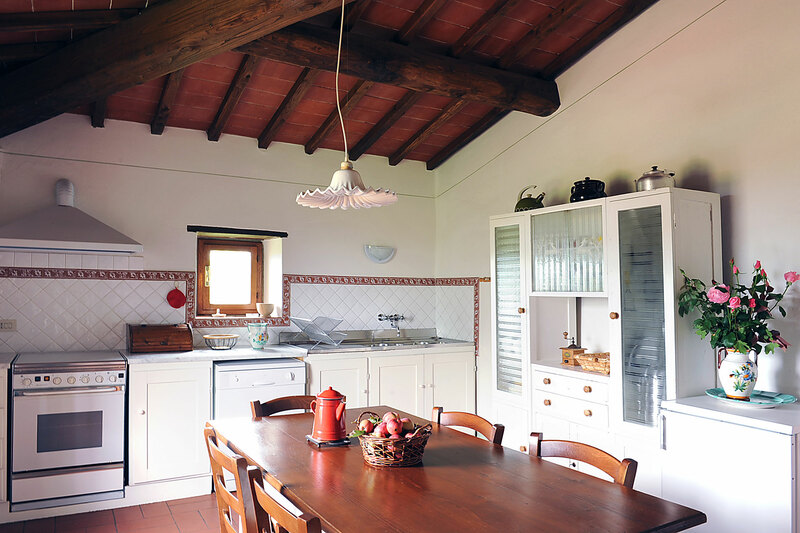 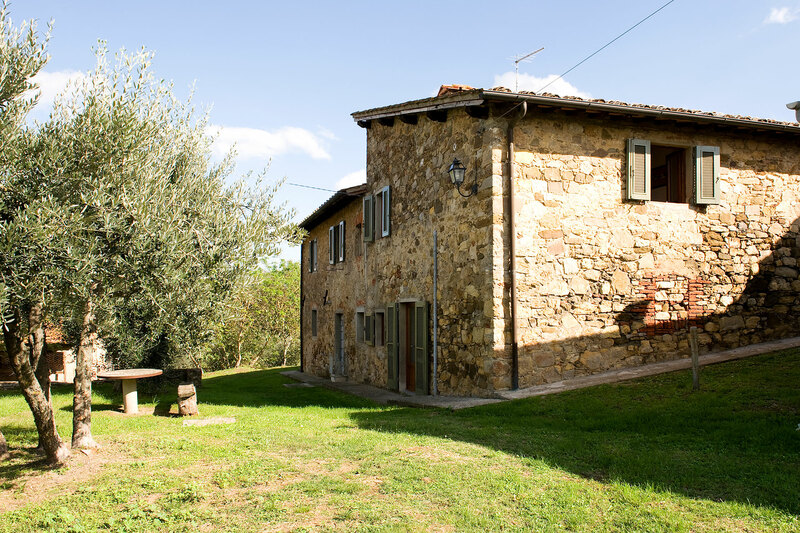 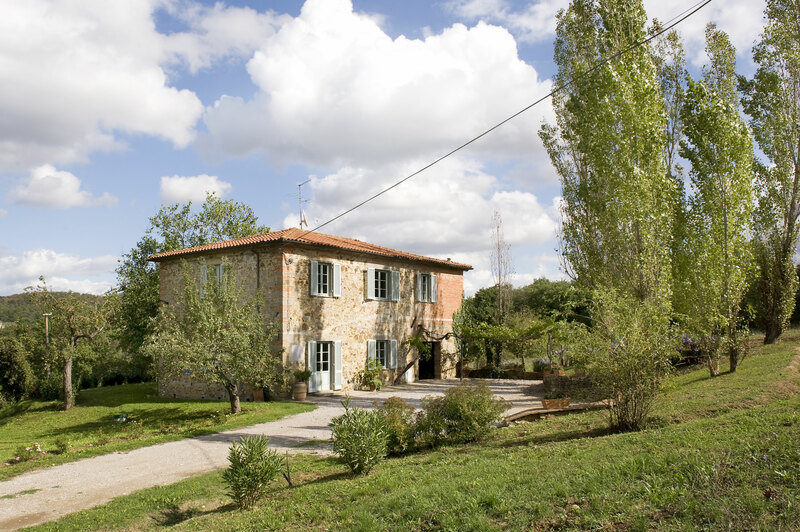 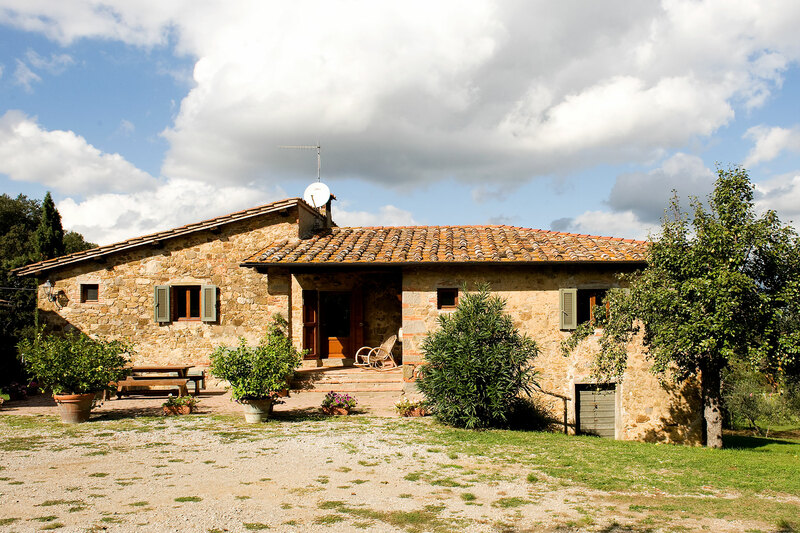 A traditional Tuscan farmhouse with stone walls, wooden beams and terracotta floors. 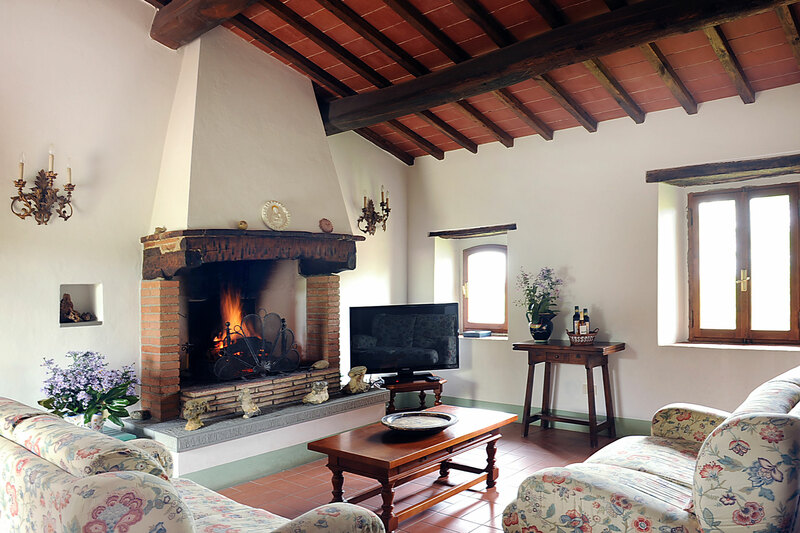 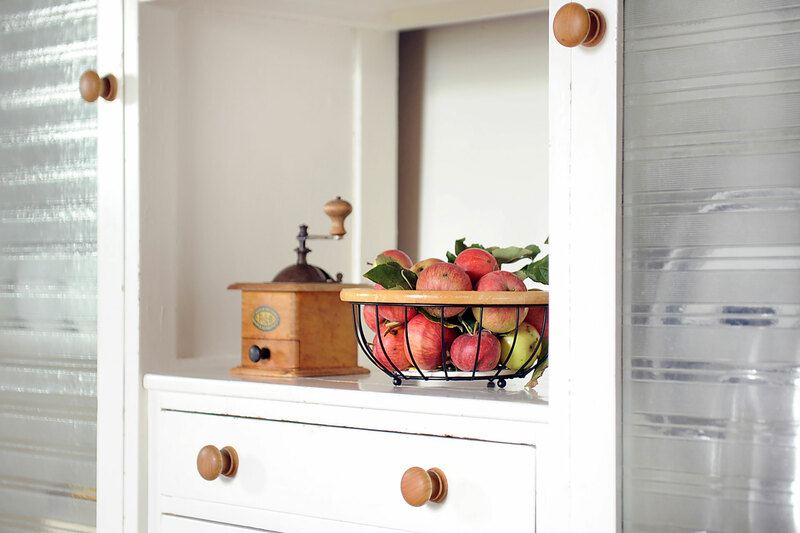 Its scenic location and traditional decor make it a welcoming, warm and relaxing residence. 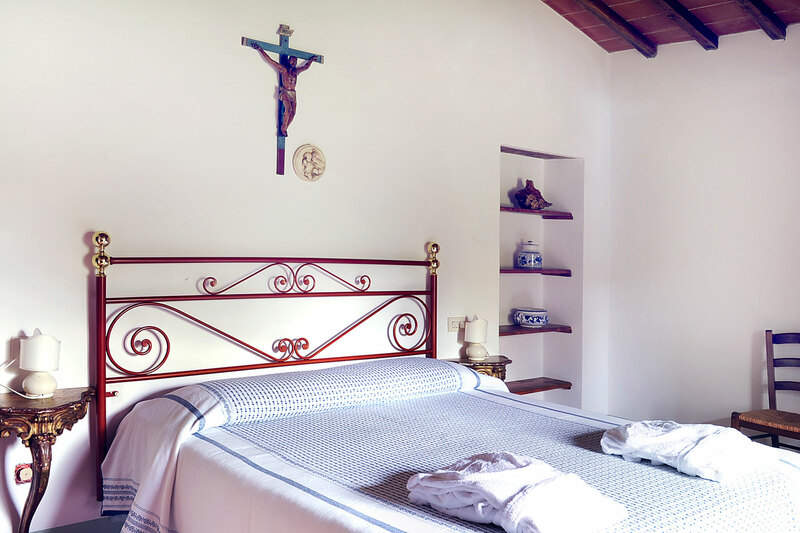 Accessible by a private road surrounded by vineyards and olive groves, it is located 400 metres from the main farmhouse and 200 metres from the pool. 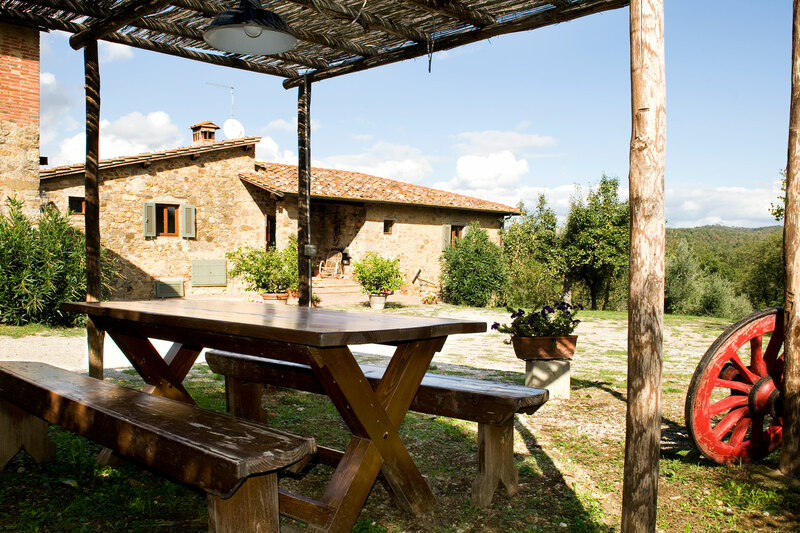 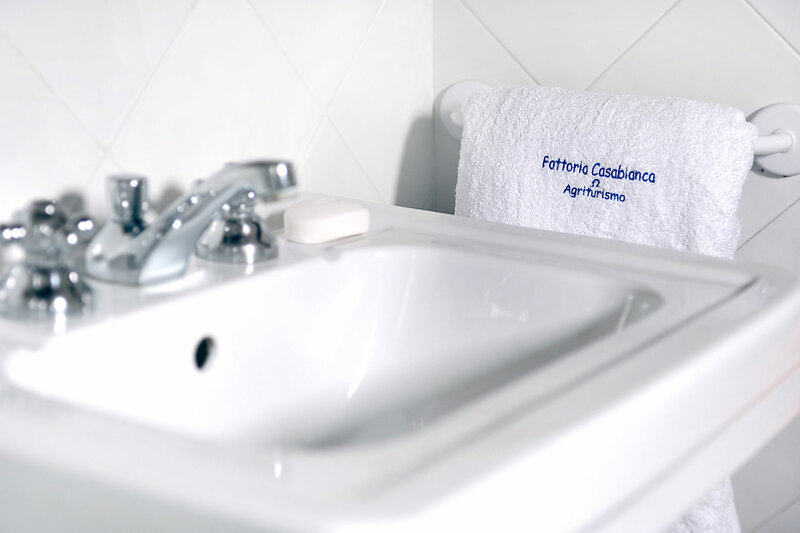 It is an ideal setting for guests seeking privacy and comfort. 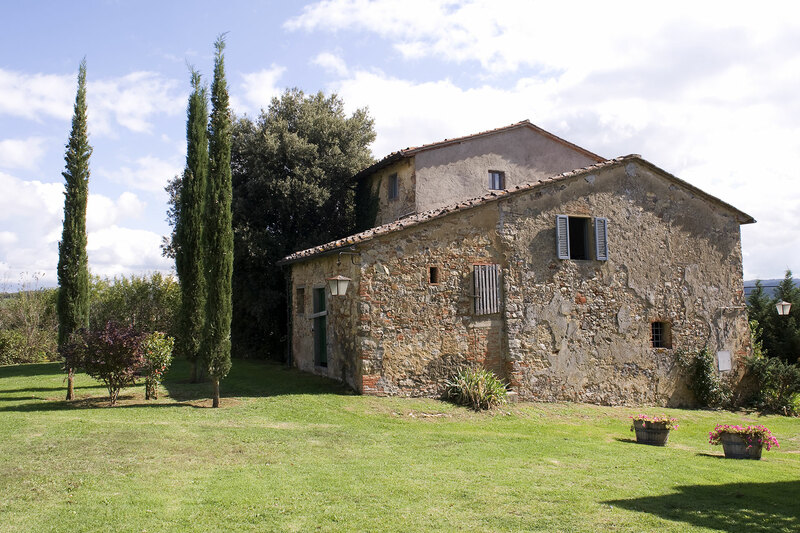 It also features a large garden, loggia and barbecue grill. 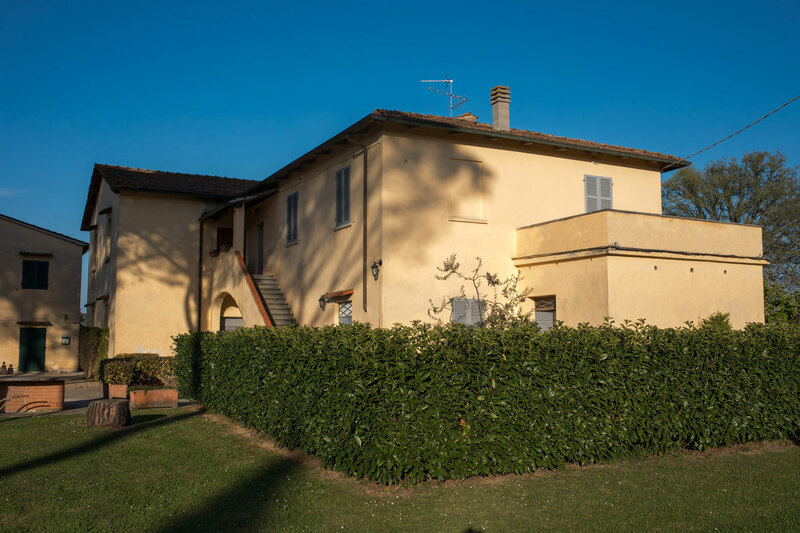 A few metres from the house is a beautiful millenial Holm oak, which is one of the most famous trees in Italy. 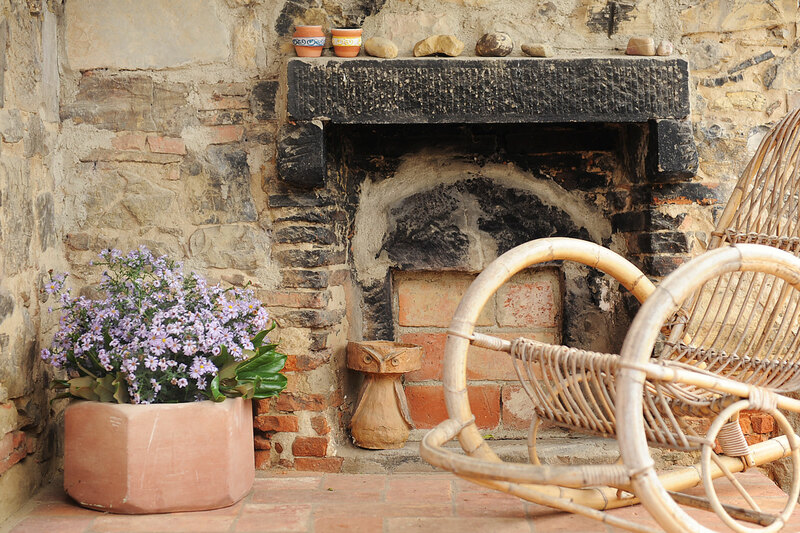 Check out from 8:00 to 10:00 am.